TOKYO.– Japan Airlines (JAL) has started selling tickets on additional routes by codesharing with Alaska Airlines. These new codeshare routes will be available from March 31, 2019, when JAL plans to launch its highly anticipated non-stop daily service between Seattle and Narita International Airport. 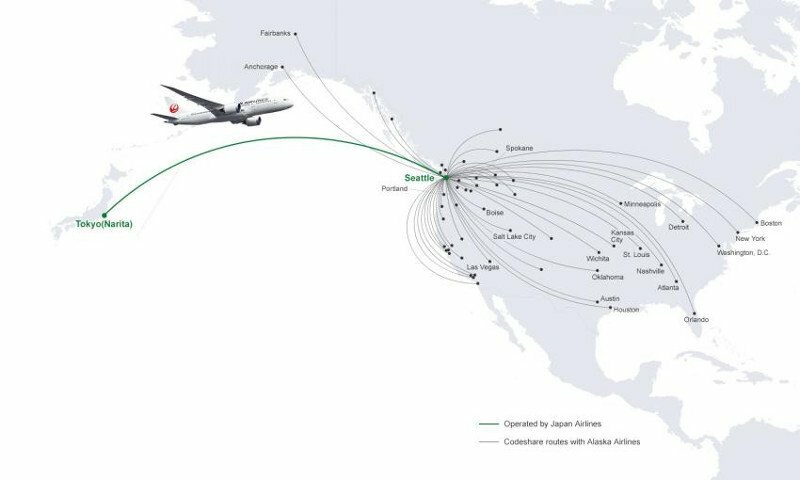 JAL and Alaska will now offer codeshare flights on 55 routes through Seattle, adding 19 new destinations to JAL`s network. Through the enhanced partnership, JAL and Alaska will serve a wide range of destinations in the U.S. and Canada, providing seamless connectivity through Seattle.